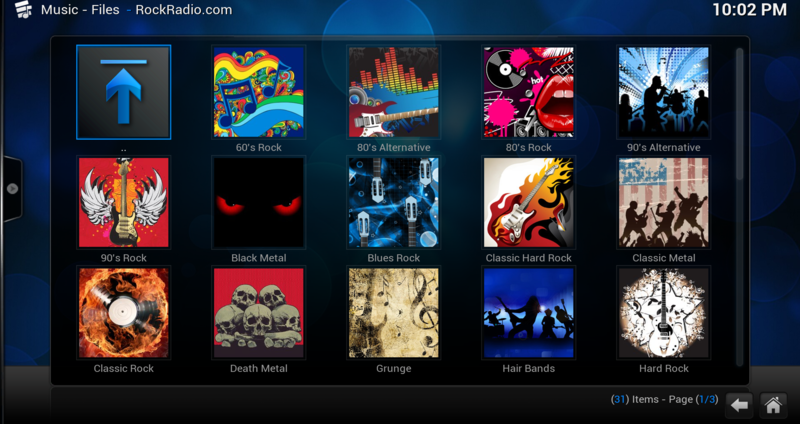 An addon that streams music from rockradio.com. Starting the addon version at v3.0.0 to represent the codebase it's based on and shares with the Digitally Imported and Radiotunes addons. Sadly, they've limited the access to their streams in the UK and Canda - dunno why. I can't get the plugin to work. It used to work about a week ago. From the log it looks like it might be something to do with a decoder, but I'm in no way savy enough to figure out what exactly is wrong. The Digitally Imported and and Radio Tunes plugins does the same. I'm running an Raspberry Pi B with OpenELEC 5.9.3. Third party codecs are not enabled, but like I said, it used to work. It would seem the July update broke the premium decoding... Prior to that it worked flawlessly in Kodi running on a Asus Nexus Player with latest updates etc. Now I get the ads telling me to upgrade to premium, I have entered the correct info in the plugin - still no go. My premium is payed and verified to work through both web and cellphone. Thanks for a great plugin! Big thanks to bitcrusher for maintaining this addon so far!